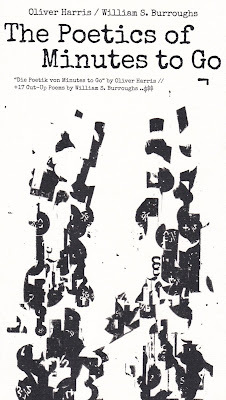 The Poetics of Minutes to Go, by Oliver Harris and William S Burroughs, published by Moloko Print, Germany, 2012. 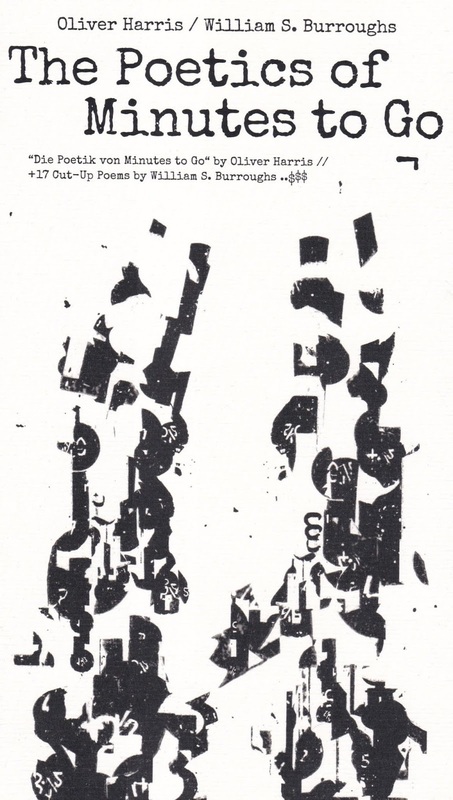 The volume contains 'Burroughs is a poet too, really: The poetics of Minutes to Go', an essay by Oliver Harris (in German and English); '17 cut-up poems' by William S Burroughs; and 'Permutations and Interferences' by Robert Schalinski. 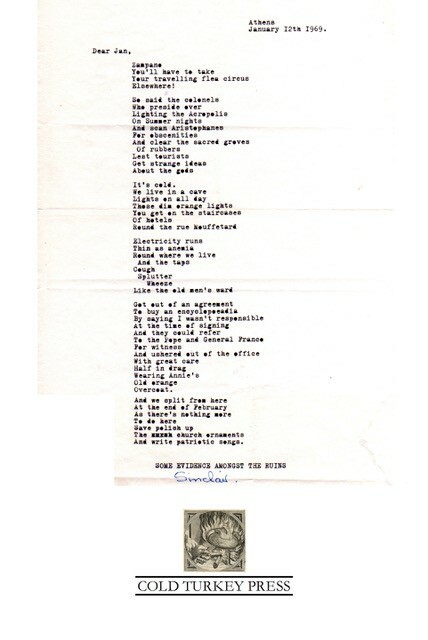 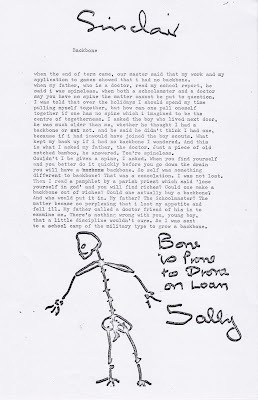 William Burroughs's cut-up of Sinclair Beiles's prose poem 'Stalin', as published in Minutes to Go. 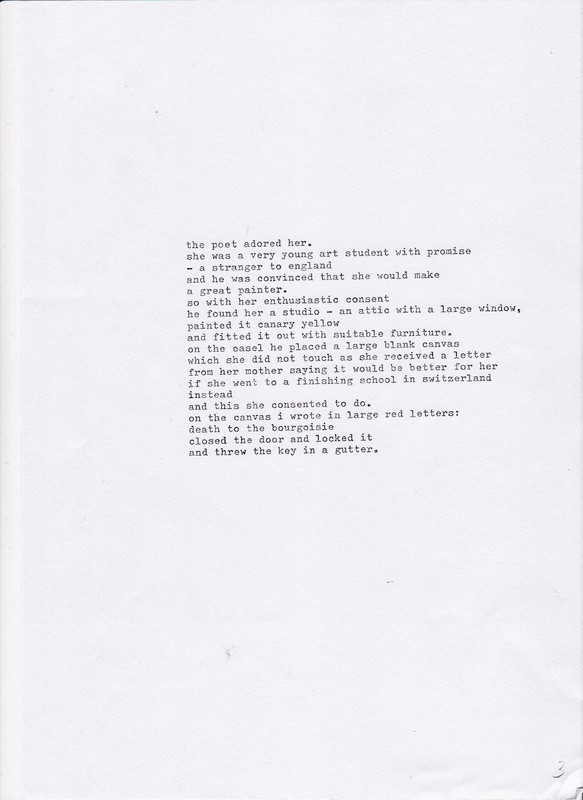 The cut-up as shown above is reprinted in The Poetics of Minutes to Go, published by Moloko Print, Germany, 2012. 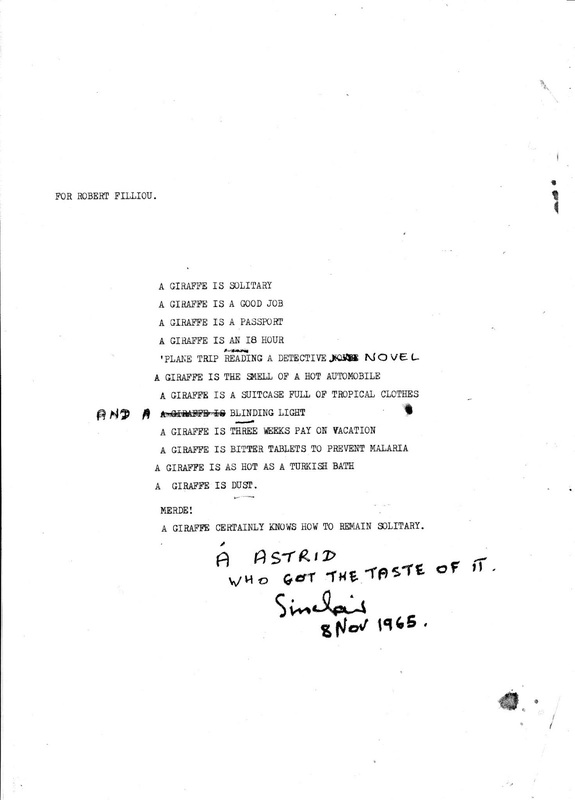 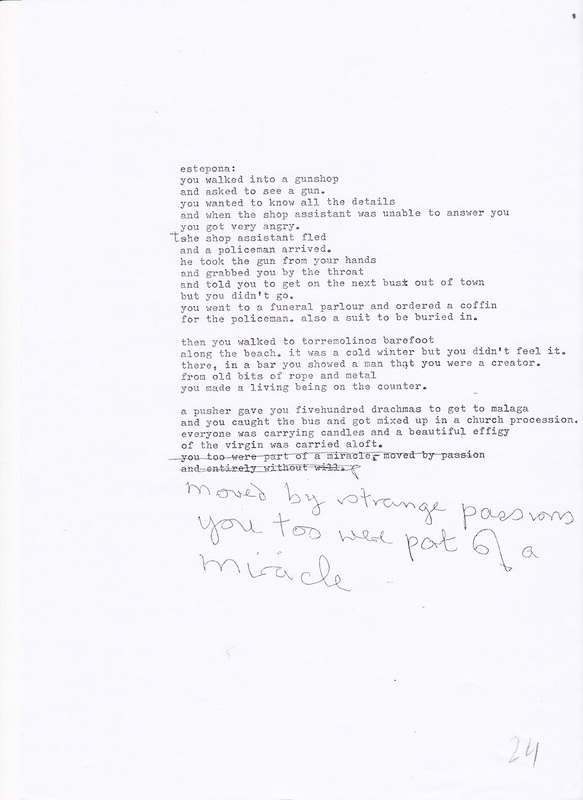 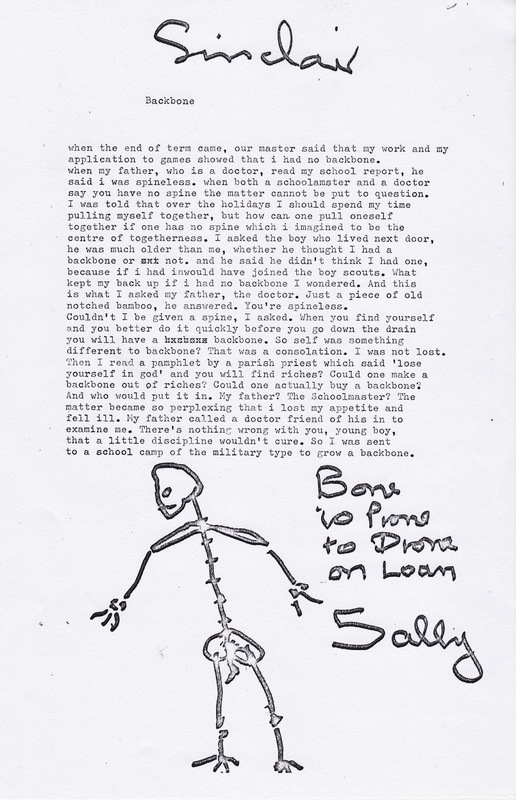 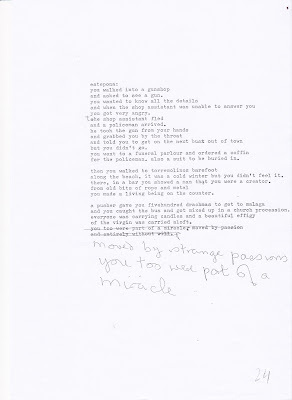 Manuscript of the poem 'Giraffe', sent to Astrid Noppen, in 1965. 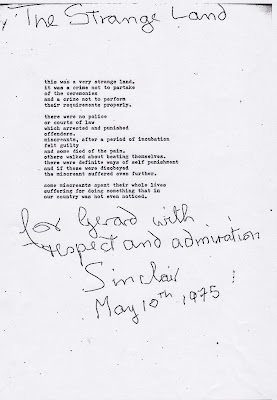 The poem appeared in Sinclair Beiles's debut collection, Ashes of Experience, in 1969. 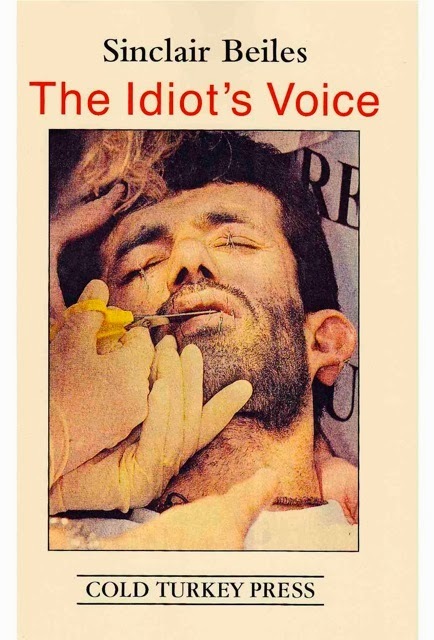 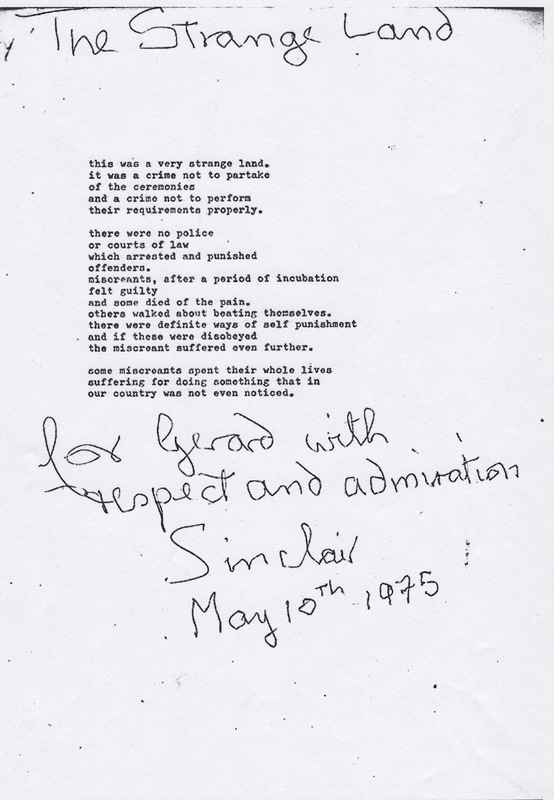 "Here are Sinclair’s ‘Last Words,’ written in Paris long before he would have been aware of any pressing need to devise a valedictory.” Heathcote Williams, from a tribute to Sinclair Beiles, in Bone Hebrew, a collection of Beiles’s writings published in 2013, in a limited edition, Cold Turkey Press. Read more. 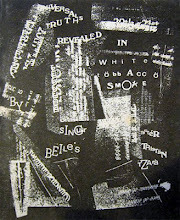 Photo: Galarie Iris Clert. 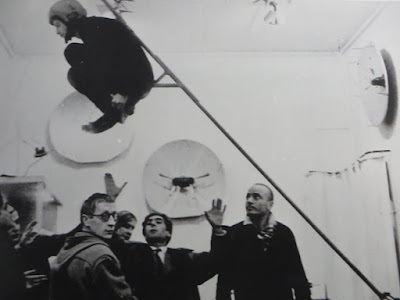 From right to left: Takis, Raimondos and Minos. 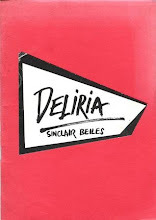 In space: Sinclair Beiles. 1960. Photo provided by Bruno Sourdin. 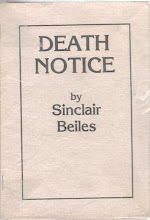 Who was Sinclair Beiles? 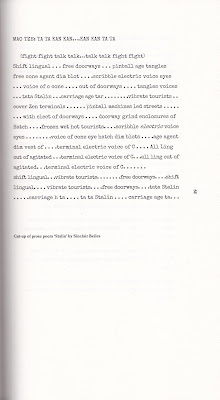 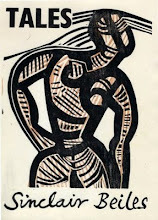 is a compilation of writings about South African Beat poet Sinclair Beiles, co-edited by Gary Cummiskey and Eva Kowalska. 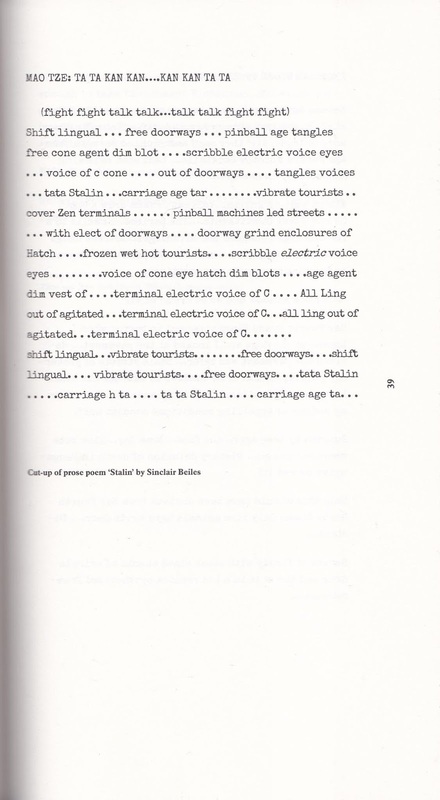 Contributors are Gary Cummiskey, Eva Kowalska, Alan Finlay, George Dillon Slater, dawie malan, Earle Holmes, Heathcote Williams, Carl Weissner and Fred de Vries. 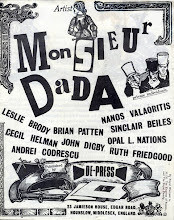 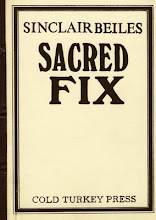 It was originally published by Dye Hard Press, Johannesburg, South Africa, in 2009. 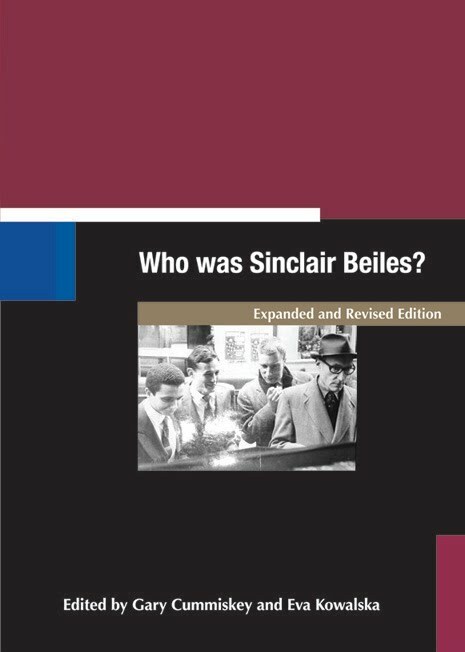 A revised and expanded edition was published in 2015. Who was Sinclair Beiles? 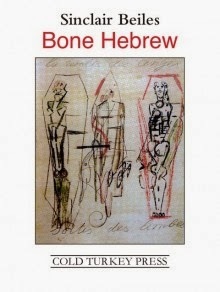 is distributed to bookstores throughout South Africa by Bacchus Books.However, copies can be ordered directly from the publisher.Email dyehardpress@iafrica.com for order details. 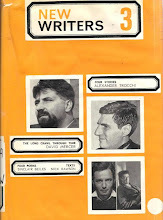 Published by Wurm, Pretoria, 1969. 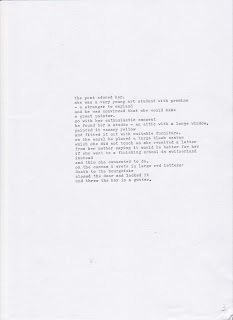 Winner of the first Ingrid Jonker Poetry Prize. 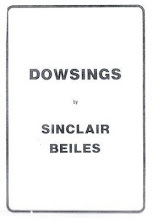 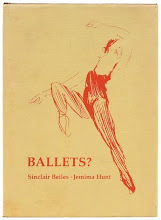 An anthology of poetry, including work by Sinclair Beiles, published in London in 1974. 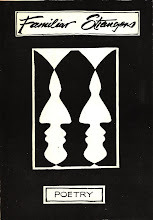 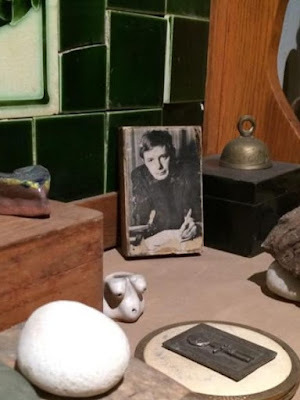 Originally published by the London Poetry Society in 1974, republished by Cordelia Editions, Johannesburg, in 1976.